In this 8-day/7-night birding package The Lodge at Big Falls partners with Hidden Valley Inn in the mountain pine ridge south of San Ignacio in the Cayo District. The package includes 4 nights at one resort and 3 nights at the other. Guests can choose where they want to begin and where they will spend the four nights or three. The two lodges offer complementary habitats and some species only found in that part of the country. 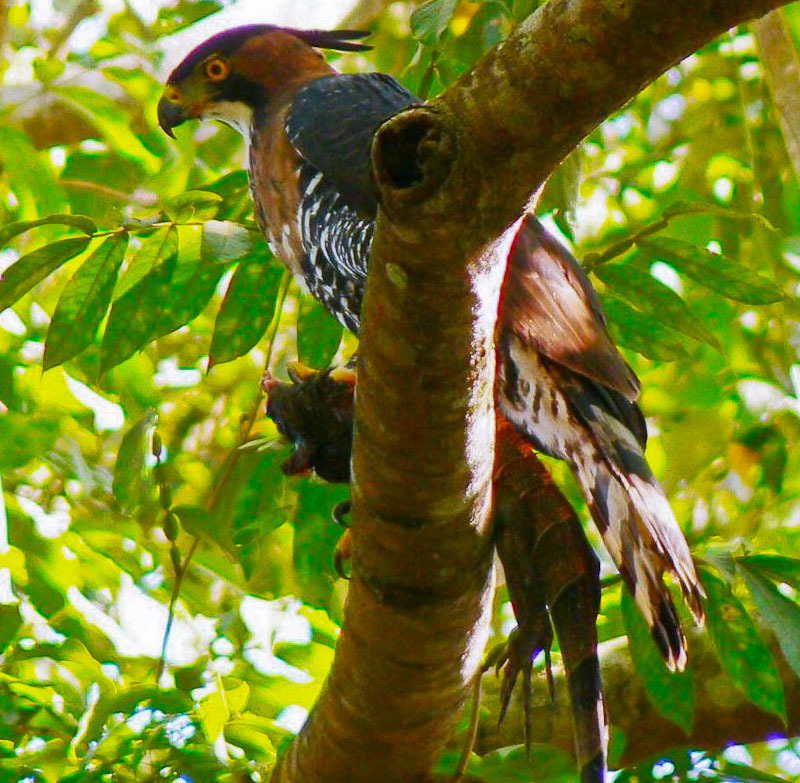 The Lodge at Big Falls offers the Bare-crowned Antbird and the Black and White Owl. Hidden Valley Inn large numbers of King Vultures and Stygian Owl. The package includes all accommodation, meals, tours with an expert local guide and transfers between the lodges and to and from Belize International Airport including one flight on Tropic Air between the airport and Punta Gorda. US$2,750 per person double occupancy.